“Church discipline may be required for someone guilty of serious criminal offenses. It is also used to address apostasy — the repeated, clear and open public opposition to the Church, its leaders and its doctrine… This also applies to an individual who subscribes to the teachings of apostate groups that engage in practices contrary to Church doctrine, such as polygamy. My purpose in this article is not to discuss possible behaviors that may have led to James Hamula’s excommunication. 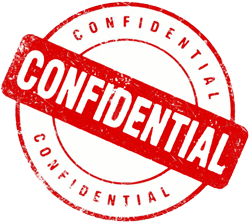 The questions worthy of exploration here are: What would lead the Mormon Church to beak its own rules of confidentiality? Why did the Church publicly state that Mr. Hamula’s excommunication was not for apostasy, thereby implying that it was for moral failure? It could be that the LDS Church is concerned about the stability of currently doubting or questioning members; if these members speculate that a general authority has been excommunicated for apostasy (he did serve in the Church’s history department, after all!) it could tip the scales for them and lead them to apostasy themselves. We may never know why the Church broke its rule of total confidentiality, but whatever the reason, Mr. Hamula has been thrown under the bus. His character has been seriously maligned by the LDS Church’s public comments. This reminds me of the Mormon Church in Joseph Smith’s day. If the Prophet thought someone might cause trouble for him over the issue of polygamy, he went out of his way to publicly destroy the person’s character so no one would listen to any accusations or criticisms the person might allege. Consider the story of Sarah Pratt, wife of Mormon apostle Orson Pratt. While Orson was away on a mission, Joseph Smith approached Sarah and asked her to become one of his plural (and polyandrous) wives. She refused him – twice – and threatened to expose Smith’s polygamous proposals if he ever asked her again. Some time after Orson returned home from his mission, Sarah explained what had happened between the Prophet and herself. Orson confronted Joseph; Joseph denied his proposals and promptly (falsely) accused Sarah of having an adulterous affair with another of Joseph’s critics. Later, this accusation against Sarah was made public, “confirmed” by “witnesses” in a publication printed to exonerate Joseph Smith of allegations made by one of his former confidants, John C. Bennett (see Richard S. Van Wagoner, Mormon Polygamy: A History, 29-34). “Fabricated stories designed to protect both individuals and institutions in Nauvoo are seen elsewhere. Sidney Rigdon in the 18 June 1845 Messenger and Advocate reported that Parley P. Pratt, in speaking of the means by which church leaders should sustain Smith, advised that ‘we must lie to support brother Joseph, it is our duty to do so.’ Not only were church leaders willing to violate the law to promote polygamy, they did not hesitate to blacken the character of individuals who threatened to expose the secret practice of plural marriage. Today’s Mormon Church is, in many ways, quite different from the Mormon Church of 1840s Nauvoo. Yet what the LDS Church has done to James Hamula in breaking the confidentiality associated with his excommunication looks very much like a 21st century backhanded form of character assassination. For whatever reason, the Church has publicly eliminated apostasy and disillusionment as possible reasons for James Hamula’s excommunication, leaving people to surmise that, if the Church is to be believed, he must then be guilty of some serious unnamed moral failing(s). That might be true, or it might not. But this fact remains: The Mormon Church broke its own rules related to disciplinary councils. To promise confidentiality and then renege on that promise in itself demonstrates a serious moral failing. Likewise, to disgrace someone by insinuation and innuendo is itself a disgrace. The LDS Church’s breach of trust via its broken promises and ambiguous gossip involving James Hamula is but one more item to add to the ever-growing list of reasons to question the intrinsic nature of The Church of Jesus Christ of Latter-day Saints.